In a ruthless ploy to protect grasslands from wild horse herds that have roamed Alberta for centuries, the province’s Sustainable Resource Department (SRD) has put a large dent in the population of horses living in the Sundre/Olds area of Alberta. According to Bob Henderson of WHOAS (The Wild Horses of Alberta Society: http://northernhorse.com/wildhorses/), “Over 130 horses that we know about were taken.” Evidently the government is so anxious to rid the province of these majestic wild horses that even its customary capture application and license process has been waived this year. The horses have been rounded up and many have gone to slaughter. Why would the SRD think to rob wild horses of their land – and their lives? The usual answer in similar situations has been greed, and once again, the burgeoning needs and wants of ranchers seem to have been given the upper hand. Even with miles and miles of grassland rolling on farther than the eye can see, the wild Alberta horses, whose birthright would surely include the capacity to remain on those lands, have become the target of greed and corruption amongst ranchers and short-sighted government officials who are paranoid that the horses will somehow impact upon the livestock industry. Only small herds of these iconic, breathtakingly beautiful horses now remain. If the ranchers and the government have their way, the wild horse herds of Alberta will become extinct. It is believed that these horses could be descendents of Spanish Mustangs, introduced from Spain during the early conquest of the Americas, but that doesn’t seem to matter to those whose world revolves around profits. These horses are a wonderful part of our lives and they should be alive for generations to come. There is no good excuse for our gov to be acting out these brutal and demonic acts of butchery. Our gov is becoming less and less honourable by the second and they act like a bunch of teenagers in a club house. This is absolute garbage and next vote around we will make sure these same leaders are not voted to come back, they don’t deserve to. Alberta has an abundance of land and food for all wild animals and these horses don’t take much. What takes up our land and resources is the constant development of these ugly and cheaply made subdivisions. With all we have going on in the world I know for a fact that you wanting to slaughter wild horses is the least of the issues on the table, smarten up. I have 15 horses,some are rideable but they are all LOVED by my wife and I and we are against any slaughter of horses,If we won a lottery we would spend it on more grazing land and trainers to Keep the horses around for ever.Everyone forgets what was used to break the land before the tractors came along.Let the Mustangs run free and help them find more spots to graze. If all the horses are slaughtered / What are our children and grandchildren going to enjoy. To watch a horse run free and buck and kick is just like my children did if you know what I mean. So stop this SLAUGHTER,Let them live their life out,PLEASE. I am writing to you about the wild horses,not the ferel horses, in your area. I have read the entire site of WHOAS and do not understand what our government is trying to get away with. I had a ranch for more years than I care to mention and have had both horses and cattle and I know first hand the damage the cattle do to rangeland. They do not graze on the move as horses do. I read a letter from Frank Oberle, Minister, that he sent as a reply to the horse situation and he says that the government of Alberta considers free roaming horses to be ferel and and protects them through the Stray Animals Act and its associated Horse Capture Regulations. I do not understand how what they are doing is protecting these animals at all. The only things I see being protected is the grazing rights of the ranchers and quite possibly the Alberta oilfield. Rounding them up and sending them for slaughter for profit is not protecting them. Greed! How is it possible for the government to hide behind the skirts of there own laws. Are laws meant to protect only when it is convenient. Greed! I would argue that these horses are not ferel. When settlers first came to this great and free country they found many species running free and among them were horses. They were rounded up and used to make this great country what it is today. Do you know for sure that every last horse was wiped out. Have you and the government personally walked every sqaure inch of the free mountains and beyond the shadow of a doubt can say that every last wild horse was wiped out. That every last decendant is gone. I do not think anyone can answer beyond the shadow of a doubt that these are not decendants of Spanish horses left years ago or that they are not decendants of native horses that ran free to the mountains. They were here before we came and man has a way of comeing in and conquering and destroying everything in his path to get what he needs. Greed. Man has repeated this throughout history. Greed! Can we stop the chain of destruction, Please. It may only be a few ferel horses to you but to this country it is our history and a chance to preserve what is natural. I do not wish to recieve one of your pretyped response letters. If you can respond with as much passion and thought for your cause,the slaughter of wild horses, then I invite you please to respond. The horses in Alberta are not of spanish descent. They are FERAL, not wild horses, that were turned loose from failed horse logging operations that went belly-up in the late 1800’s. The horses are occupying and destroying land base for native Alberta wildlife species such as moose and elk. They are considered an introduced and invasive species to the Alberta landbase, the same as Australia considers cats and rat introduced and invasive or the Government of Ecuador considers goats introduced and invasive to the Galapagos Islands. These horses are from a domestic descent and should be controlled because they are causing damage to the alpine and montane ecosystems of Alberta. If we never give up, we will win. If we never forget that the innocent die every day for bad faith, greed, lies, corruption, we will be motivated to continue to defend these silent victims every day. If we tell everyone we can about what is really happening, we will win. There is no informed human being who who can defend the constant abuse and horrific deaths of our loyal friends and servants, the horses. Lies get found out and so do liars. We can win this one if we persist and never forget. In the US, the bills to pass are HR2966 & S1176. Access to Congress can be found thru Googling or thru http://www.Congress.org. Americans and Canadians need to work together to see this outrage end. We need coverage of this horror in international media and around the world, repeatedly.This issue is easy to decide and not disputable by honest people. 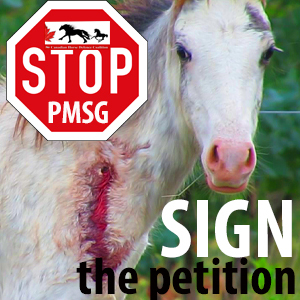 A ruthless ploy to protect grasslands from wild horse herds that have roamed Alberta for centuries, the province’s Sustainable Resource Department (SRD) has put a large dent in the population of horses living in the Sundre/Olds area of Alberta. According to Bob Henderson of WHOAS (The Wild Horses of Alberta Society: http://northernhorse.com/wildhorses/), “Over 130 horses that we know about were taken.” Evidently the government is so anxious to rid the province of these majestic wild horses that even its customary capture application and license process has been waived this year. The horses have been rounded up and many have gone to slaughter. The Alberta government needs to hear from citizens everywhere who are opposed to the mindless roundups and killing of these horses. All for the almighty dollar and greed,that these majestic,beautiful wild horses are rounded up and sent for slaughter,what a damn waste of horse flesh.And I’m suppose to be proud to be a Canadian,with such cruel,inhumane ways of killing these wild horses here in Canada .These wild horses are our heritage,but soon they will be extinct at the hands of our government personal .Why not check first to see what damages these horses are “really” doing to the range lands,rather than listening to these lies from these ranchers ? SHAME ON ALBERTA AND ITS GOVT AND ALSO SHAME ON THE UNITED STATED, WHICH IS WHERE I LIVE. AND YES THEY ALL ROAM WAY TO FREE, ITS LIKE COMMUNIST. If they would quit letting the oil companies come in and destroy the land there would be lots of room for the horses. Around my house there are rigs going constantly and have ruined pastures and hay fields like crazy. I understand we need oil and gas, but this is getting ridiculous. They are only shipping it south anyways. Decimate The Government, they r the crooks and culprits! They roam wayyyyyy to free! I just emailed the following to Frank Oberle and will share his reply upon receipt of it. Lets do all that we can to get him out of a job!!! You have a moral obligation to all or the people and more importantly to God, to protect our wild horse herds, yet you appear to care more about the greedy concerns of a few heartless ranchers. The senseless slaughter of God’s precious animals has to be stopped! Honestly…..sir……how do you sleep at night knowing what you’re robbing from the majority of us and our precious children. I look forward to the day that I hear you’re out of a job!!! Sorry guys (transcription error) ! The majority killed in slaughter are US bred Quarter Horses and Thorobreds. 60% of the horses killed in Canada’s foreign owned kill plants are from the US. In 2007 during our time (the US) dealing with the kill plants, the numbers of QH/TB killings were proportionately higher. These numbers were from the TX kill plants. When slaughter is ended completely, this entire issue with this endless abuse and killing of horses leaves. Other issues remain and have to be dealt with seriously but only after slaughter ends. That calls the bluff. The main perpetrators have no way to hide anymore. As long as killing exists as a way for fast cash, it will go on. That is why it is essential for the US to admit its own actions and for the US, Canada and Mexico to cooperate to end the kill plant presence. Europe has its own issues to deal with. We can end slaughter. This is something we actually can do. We have the same issue here with public grazing lands. In the US, taxpayers lose 123 million to this scam with our wild horses. You are not alone in your concerns. We need to hear more from Canadians in U S media. I wrote to the Minister of the SRD of Alberta. He replied with a standard form letter and it is so obvious that he doesn’t care one bit about what happens to the wild horses. He is a very poor representative of the Canadian people who want to keep the wild horses as a part of our heritage. He claims they are feral horses trampling the seedlings on the land the loggers have already decimated. Shame on him and his department. This needs to be brought out more into the public eye. The SRD is trying hard to keep it out of the press so there is no public outcry and then it will be too late. This coverup needs to be exposed for what it is. It looks like the US and Canada are on the same roll. The mustangs in the US will be extinct within the next ten years at the most. The ones held in holding pens in the US will quietly be sent out the back door to slaughter if the 2 anti-slaughter bills are never passed. What a shame for both countries. With all of the millions of acres of public land in the US and the millions of acres in Canada mustangs can’t have any of it, their home range is being stolen from them by the same type of lawlessness and greed that will be the demise of these horses in both countries.